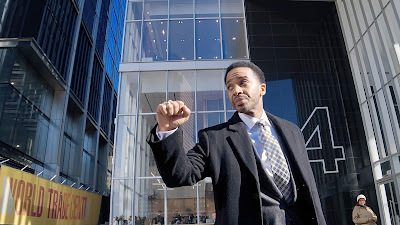 It's not easy to get ten steps out ahead of your audience these days when everybody's looking for the game, but once again Steven Soderbergh lives to make it look easy -- High Flying Bird is as tricky a caper as his Oceans films but with serious-minded pursuits of the political sort switched in for silly card shark shenanigans. You get a sense of what's up about the time you notice it's a basketball movie without any basketball -- such is the conceit, what with a timely league shutdown its play-field, all the better to dribble one-handed behind your back. 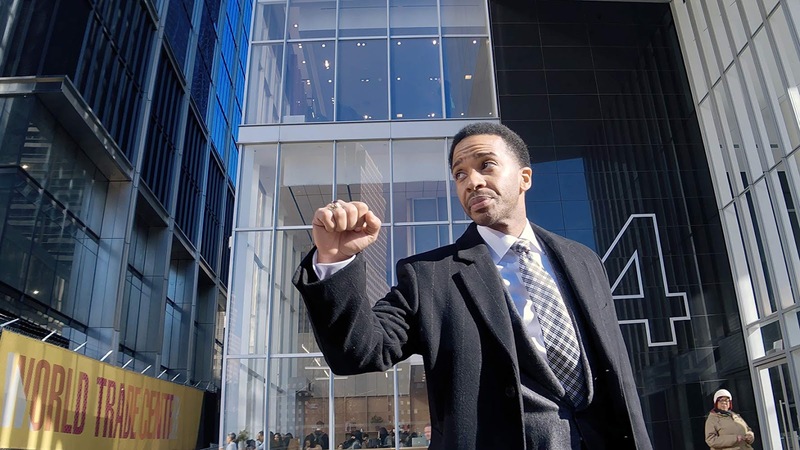 Andre Holland's player rep Ray Burke wants to do the right thing, but how right is right enough, and where does a singular right stop and a broader sense of righteousness begin? His game's a tricksy one and as High Flying Bird coasts along, conversation to conversation, it catches you up in a Hawksian rhythm, the conversational minutiae of smart people smarting out over top of one another, so you lose its forest for its trees, its extra innings for its three-pointers. 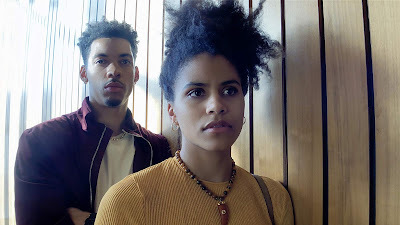 That's as far as you're gonna get sports analogies from me, I'm already in over my head, and thank goodness High Flying Bird doesn't rely on my polyester-thin knowledge therein to get the game behind the game behind the game. The answers are all hand-delivered in the opening scene, neatly folded inside a manila envelope and carried around, spot to spot, like Hitchcock's Macguffin, like the bomb that blew up the little boy on the bus -- the right character will spot the hand-off, spill the secrets, and unfurl the what for when the right time comes don't you worry. These are the smooth hands of a master massaging over you -- just enjoy the sensations.